For many travelers, a ski getaway is an annual family tradition. 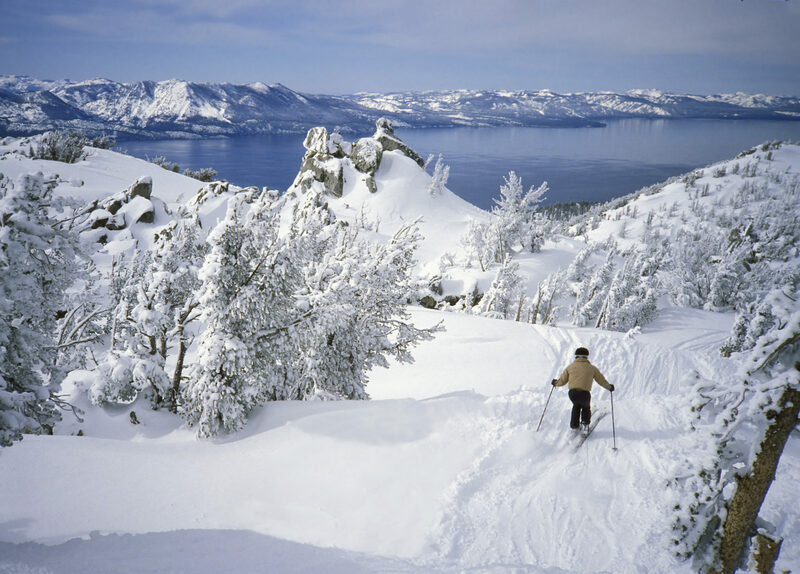 Find out why picturesque Lake Tahoe makes for the perfect winter vacation. When it was my turn to choose a locale for my family’s annual ski trip, Lake Tahoe seemed like a no-brainer. With some of the most breathtaking landscapes in the country, it’s a shredder’s paradise known for its soft, dry powder and abundant trail options. There is no question that Tahoe’s most popular winter pastime is racing down the slopes on the mountain of your choosing. 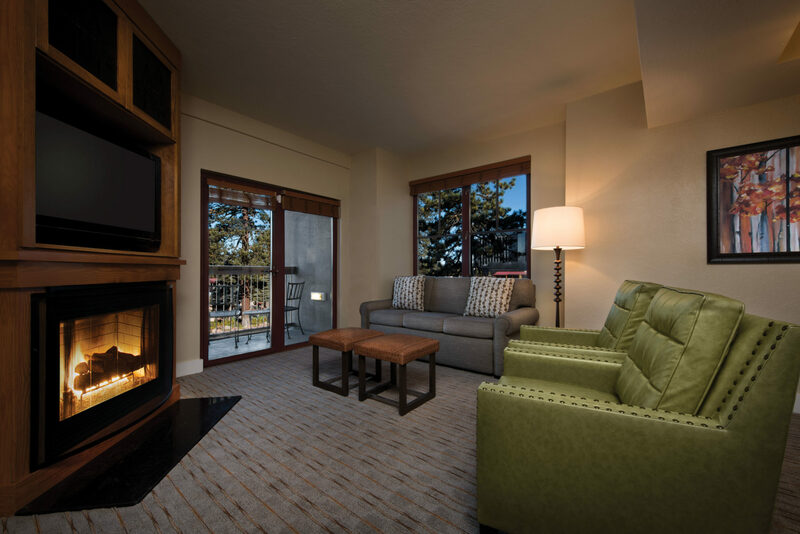 We tried several, including the famous Squaw Valley and Heavenly Lake Tahoe, which was the closest to our home base, Grand Residences by Marriott®, Lake Tahoe. I hadn’t skied in more than a decade, so I was a bit intimidated — but once I got on the bunny slope, it was like riding a bike. It didn’t hurt that my private ski instructor, Ted, reminded me to keep my skis parallel every few seconds. If you venture to Squaw Valley, visit the legendary Le Chamois for some après-ski cheesy bread and beer. Few things are better than sitting by the fire with a book and a glass of wine, watching the falling snow from the window. I couldn’t wait for a snow day so I could grab a comfy spot by the resort’s lobby fireplace and relax with my book while doing a bit of people watching. Later on, I returned to our private residence, which had its own fireplace too. After whipping up some snacks, I cozied up by the fire for some TV watching and pure vacation bliss. With your private kitchen, you can mix yourself a boozy hot chocolate, the perfect cold weather drink. 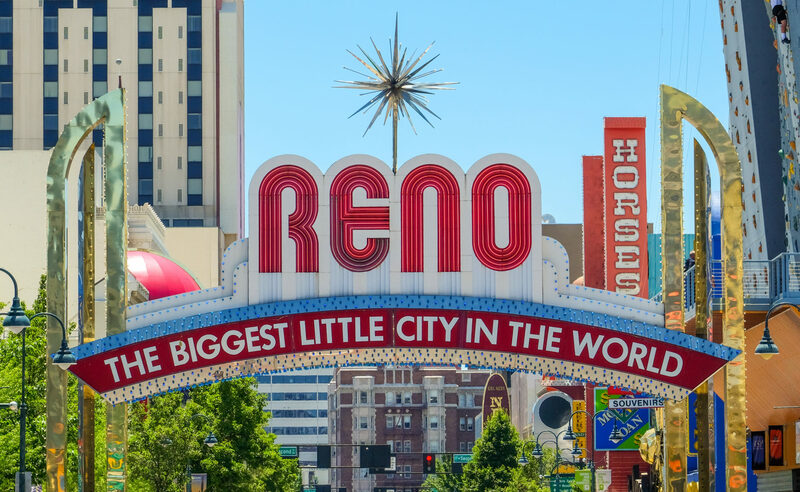 Just an hour’s drive from Lake Tahoe is Reno, the “Biggest Little City in the World.” During a day trip, my family and I spent an afternoon at the impressive Nevada Museum of Art to see The Nuclear Landscape exhibition. Afterward, we grabbed brunch and a flight of craft beer at The Depot, a hip craft brewery and distillery. We even tried our luck at the slots in one of Reno’s many casinos. Go to the Nevada Museum of Art on Sunday for the jazz brunch at Chez-Louie, the on-site French eatery. 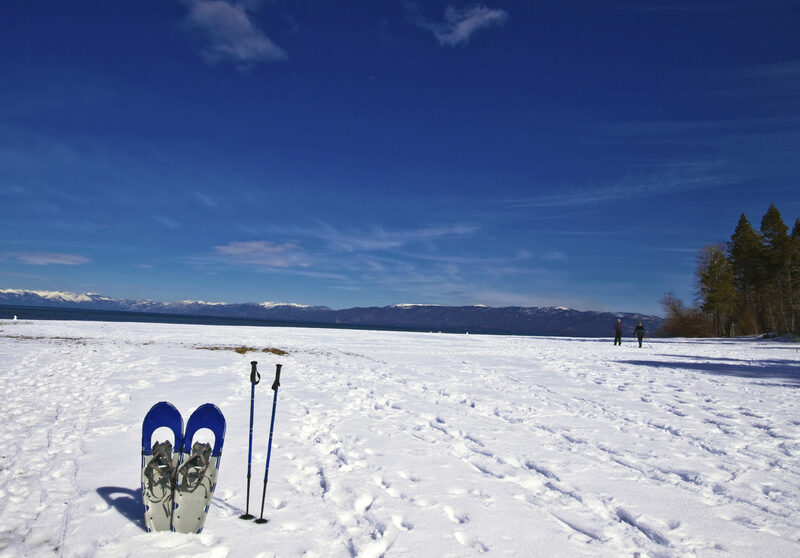 For nature lovers who don’t mind the nippy weather, snowshoeing or cross-country skiing around Lake Tahoe is a great workout. I’ll admit, I was a bit out of shape for my trek, but the crunch of the snow under my snowshoes and the natural beauty surrounding me made the trek well worth it. You can choose from a wide variety of trails for every skill level. Put a few hand warmers in your boots before you head out to help keep your toes warm. 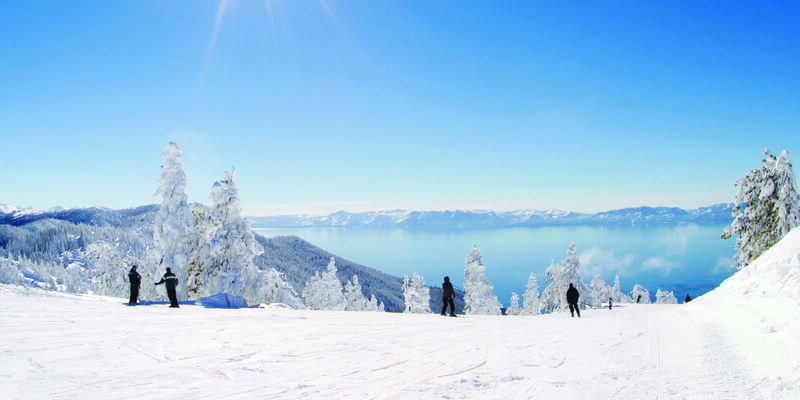 If you visit Tahoe in early March, you can enjoy the annual North Tahoe Snowfest. This “Mountain Mardi Gras” includes 10 days of parades, parties and family-friendly activities. Children can paint a snowman, and the whole family can participate in a scavenger hunt. The festival also includes fireworks, an ice carving competition, a hot wing eating contest and so much more. Check out the full list of events on the festival’s website, and make sure to book your tickets early! Katie L. is a travel and food journalist currently living in Asia.